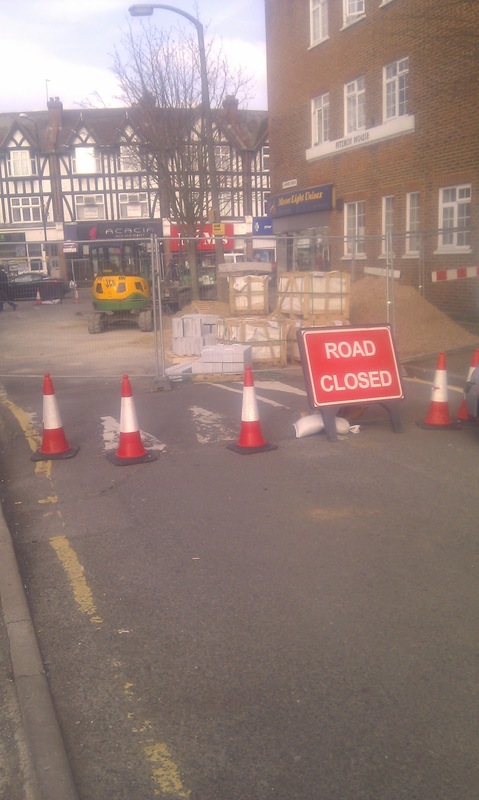 Worcester Park's 'essential coordinated roadworks' may have finished a number of weeks ago but for residents of Lynwood Drive, by Barclays Bank, there is no end in sight to their 'two week' road closure which began way back on 17th January. 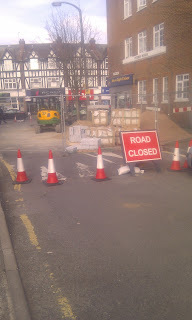 For it seems that contractors working on the 'Streets For People' scheme to resurface parts of the footways in Central Road have deemed that the junction of Lynwood Drive and Central Road is just too convenient a place to dump their mountains of sand and store their plant and equipment. So months after the completion of the advertised two weeks of water mains replacement works, the road remains closed for the convenience of our beloved contractors, with residents having no idea when the road will finally be re-opened to traffic. Never mind Streets For People. What about getting back our roads for residents?